After a long, stressful workday, wouldn’t it be nice to come home to a relaxing massage? 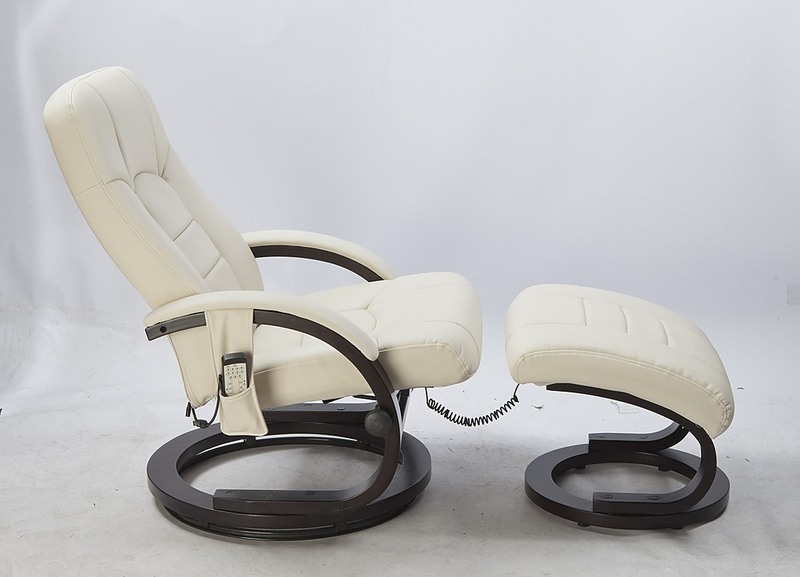 Check out our best value Deluxe Massage Chair and imagine no more! 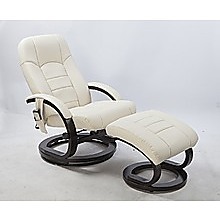 This Deluxe Massage Recliner with Ottoman is the ultimate way to unwind and soothe those aching muscles. Lay back, put on some mellow music and feel the chair do its magic! 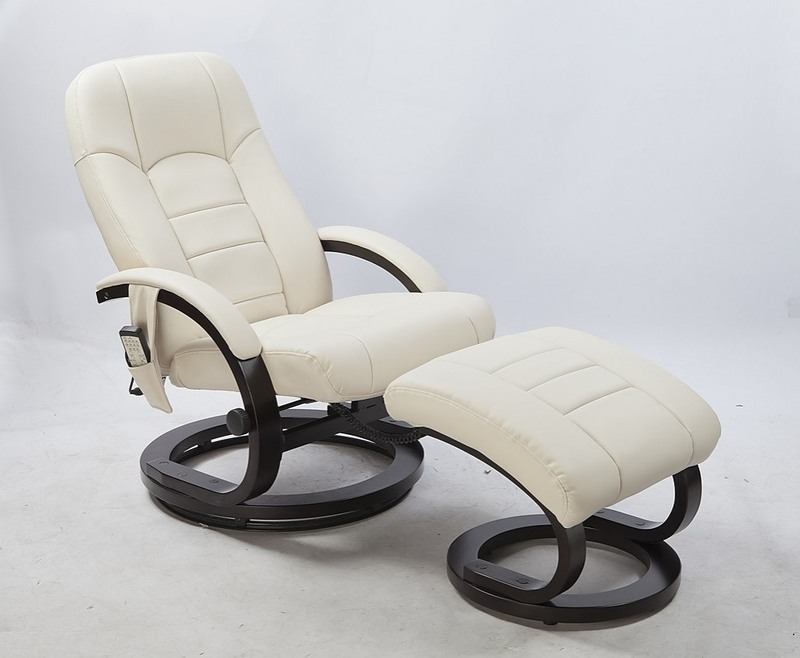 The deluxe recliner chair has eight (8) separate vibrating motors for that whole-body experience: 4 on the back rest, 2 on the seat and 2 on the ottoman. 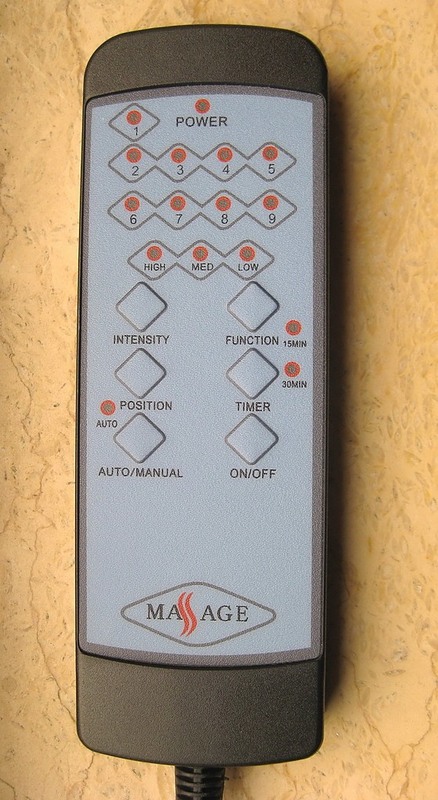 The preset automatic setting delivers a full body massage with 3 intensity options: low, medium and high and, an automatic session timer: 15 or 30 minutes. Or, with the remote control you may manually choose to work the motors independently giving more focus to problem areas like shoulders, lower back or calves. You can set the options that work best for you! 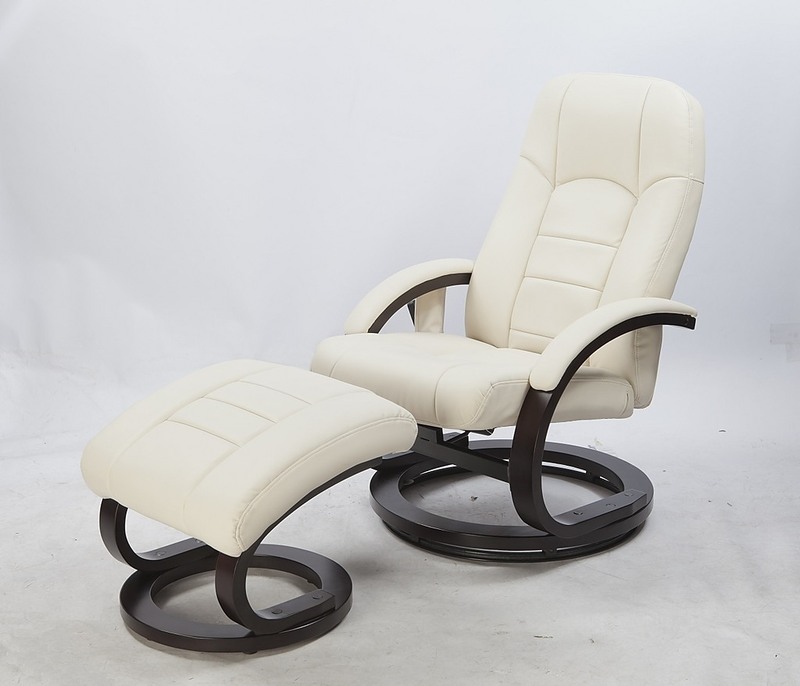 The deluxe massage recliner is contoured and features generous dimensions including a 52-cm seat depth for maximum comfort. 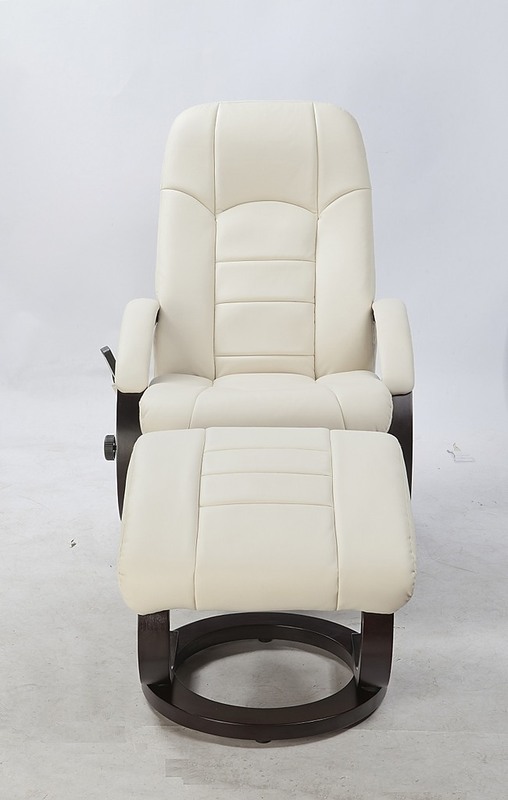 The chair is plush in Cream PU leather that’s easy to clean and maintain. Curved cappuccino-coloured wood form the base of both the recliner and the Ottoman, for a classic elegant look. ***Assembly required; easy instructions included.